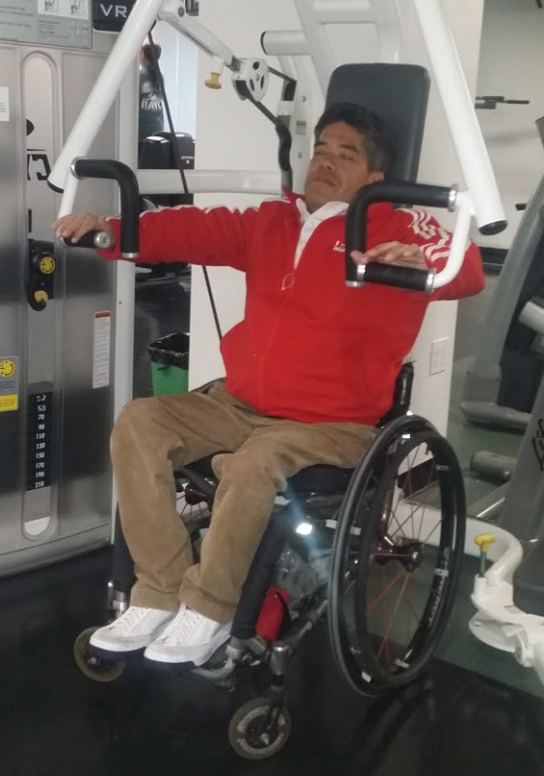 “Our friend, Nils Jorgensen, had invited me to check out the ‘Exercise Made for People with Disabilities’ (EMPWD) program he had developed for the YMCA in San Francisco,” writes NorCal SCI co-founder Nick Struthers. 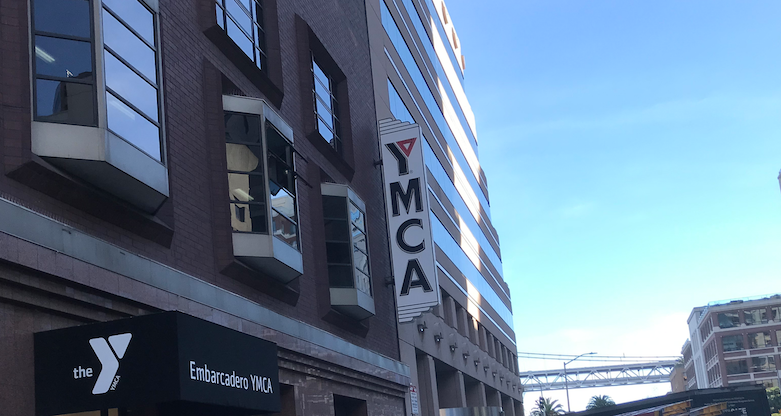 If you know Nils, his Bostonian upbringing made it difficult for me to refuse his invitation to check out the program, so on a sunny winter afternoon, I arrived at the Y which overlooks the Embarcadero in the shadow of the stunning Salesforce Tower. What a location! You can learn more about the facility HERE. Nils, who holds a BS in Therapeutic Recreation, gave me the full tour of the multi-level facility. As it was lunch time, the facility was buzzing with the San Francisco working crowd squeezing their work outs in. What was cool about the facility was its inclusiveness where wheelchair users work out with, and in some cases, share equipment with their able bodied counterparts. The Cyber Machines in particular allowing a seamless transition from wheelchair user to non wheelchair user. It was clear that Nils, who has represented the USA at the paralympics, has a wealth of knowledge and expertise in many competitive adaptive sports. As a NCSF Personal Trainer, he is able to provide guidance to the first time user or accomplished athlete to achieve their individual athletic goals. Along with his partner, Dylan Young who is also NCSF certified, they provide a welcoming environment. I watched Dylan warm up on the hand cycle before doing his strength workout on the Cybex machines. I’d like to thank Nils for the invitation to see first hand such a great facility in the heart of a bustling San Francisco. Individuals may begin the program at any time. Monthly program enrollment includes personalized workouts with coaching form 2-4 p.m. on Tuesdays and Thursdays. Contact Nils Jorgensen at njorgensen@ymcasf.org or nilsjorgensen2014@gmail.com or at (415) 615-1355 for more information. What are you waiting for?